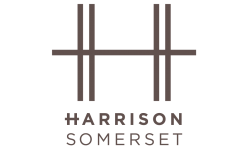 Live close to everything at The Harrison. Our great location gives you easy access to downtown Somerset, New Brunswick, Society Hill, and Highland park, so you can take advantage of all the shopping, dining, nightlife, and entertainment your heart desires! With our close proximity to Route 1, I-287, I-95, and the New Brunswick Station, commuting and traveling is a breeze. Enjoy the premium lifestyle of NYC without the hustle and bustle of the city. Many nearby parks allow you to enjoy the outdoors including Arlington, Buccleuch, and Johnson Parks, as well as the Raritan River and the Rutgers Ecological Preserve. Grad students and professors also love our location, just minutes from Rutgers University. Experience the best of the Garden State when you experience Rutgers' Botanical Gardens and the State Theater of New Jersey. Visit our ideally located Somerset apartments today!